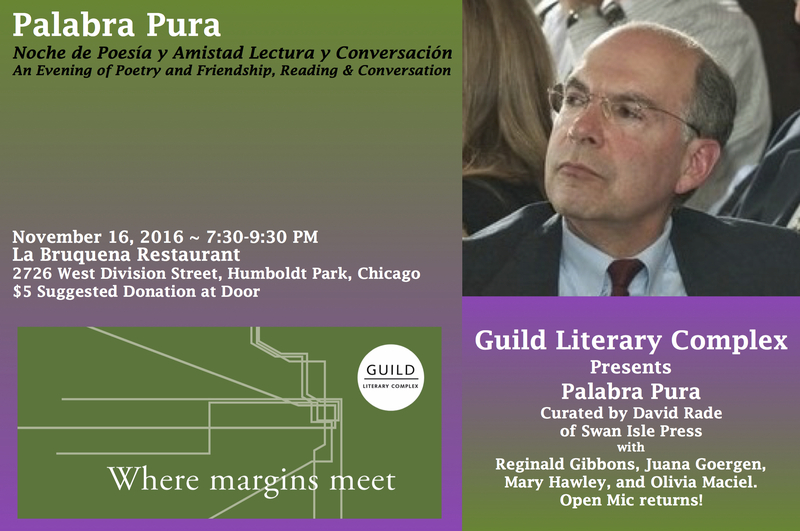 November’s Palabra Pura will feature readings by Reginald Gibbons, Juana Goergen, Mary Hawley, and Olivia Maciel. Our open mic returns, so be sure to bring a poem to read! 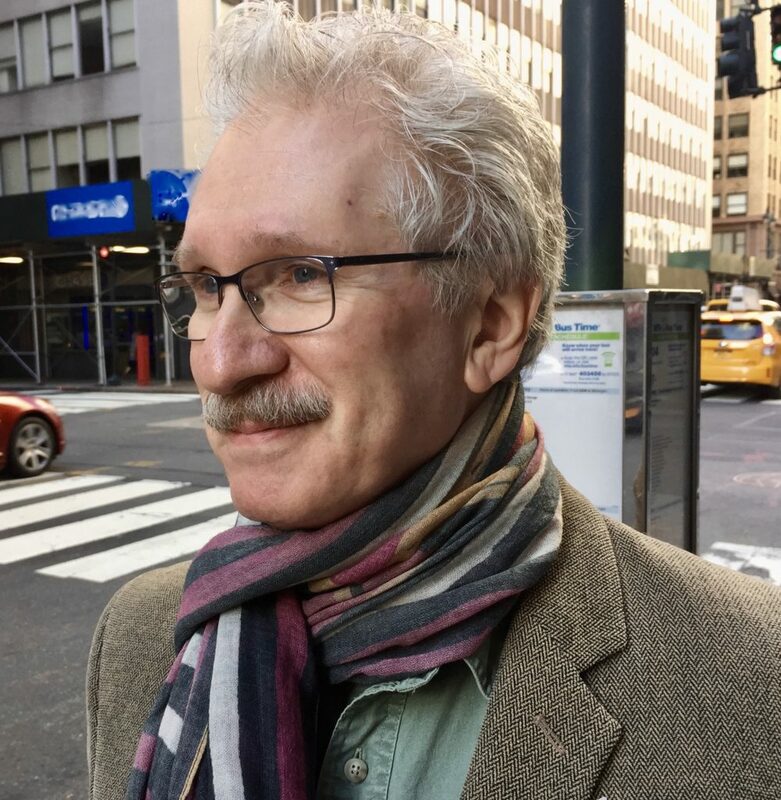 Curating our final 2016 Palabra Pura, David Rade comes to us as the founder, director, and editor of Swan Isle Press, an independent, not for profit, literary and academic publisher in Chicago known for its books of world literature in translation. He is a longtime friend of the Guild. Reginald Gibbons’ tenth book of poems, LAST LAKE, has just been published by University of Chicago Press. His book about poetry, HOW POEMS THINK, is reviewed in the current (November) issue of POETRY magazine. His book of short fiction, ORCHARD IN THE STREET, comes out in 2017 from BOA Editions. 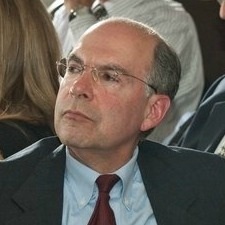 He teaches at Northwestern and is also working with many others on The American Writers Museum, which will open in April 2017 at 180 N. Michigan Ave., second floor. Juana Iris Goergen (Puerto Rico). Poet. Associate Professor Latin American Literature at DePaul University in Chicago. Has published La sal de las brujas (finalist of Letras de Oro, Betania 1997), La piel a medias (2001), and Las Ilusas/Dreamers (Desarraigos, Vocesueltas, 2008). Her poetry appears in several national and international anthologies. She has edited the anthologies: Susurros para disipar las sombras (2012); Rapsodia de los sentidos (2013); Ciudad Cien (2014) and Toda la luz (2015) in (Erato ediciones: Festival de poesía/Poesía en Abril V, VI, VII and VIII). She is the initiator and co- organizer of the International Poetry Festival in Spanish: Poesía en Abril, in Chicago, at present in its tenth year. She has two unpublished poetry collections: La celda del iris, Mar en los huesos y Oda al sueño americano. 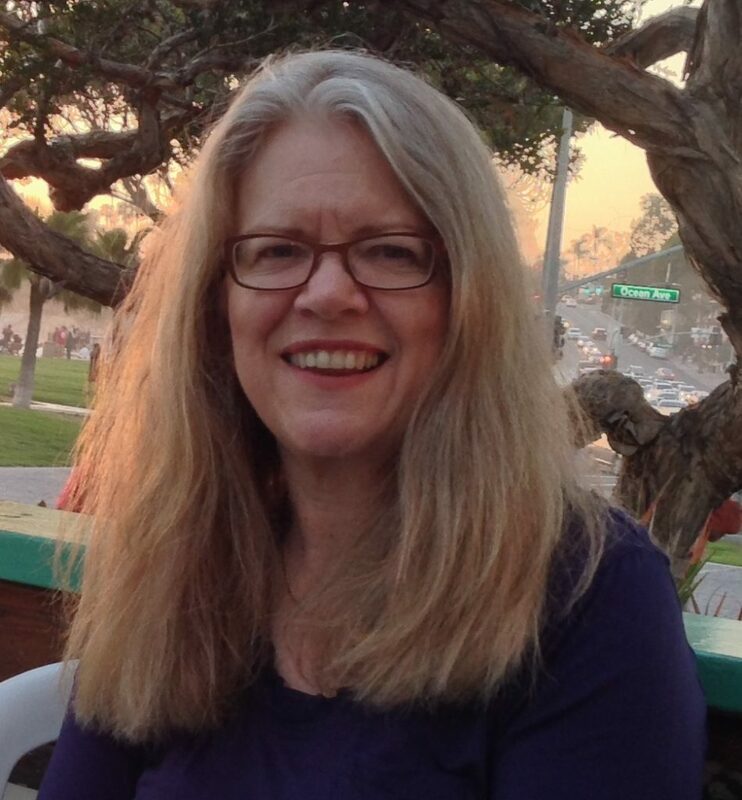 Mary Hawley is a novelist, poet, and occasional translator. Her poetry collection Double Tongues was published by Tia Chucha Press, and her poems have appeared in many journals and anthologies including Notre Dame Review, qarrtsiluni, Mudlark, Luna, and Tropel. With Olivia Maciel she co-translated the bilingual poetry anthology Astillas de luz/Shards of Light, and she helps coordinate Palabra Pura, a bilingual poetry series sponsored by the Guild Literary Complex. 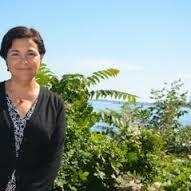 Olivia Maciel has received First Prize for Poetry in Spanish, awarded by Northern Illinois University Foundation (2014), Foreword Magazine ‘s Silver Book of the Year Award for Filigree of Light/ Filigrana Encendida (2002), Poet’s House Award, New York City (1996) for one of three best books of poetry in the U.S., Saltier than Sweet, and the José Martí Award for essay writing in homage to Sor Juana Inés de la Cruz, awarded by the University of Houston and the Consular Body of the city of Houston (1993). Elena Poniatowska, (Premio Cervantes, 2013) says of Maciel’s poetry: “Olivia Maciel’s poetry is precise and profound, a motif of eroticism that is illuminated by the very rays of the sun spread upon each verse”. Olivia Maciel received her Ph.D. from the University of Chicago in Romance Languages and Literatures. She is at work on a new volume of poems, as well as various scholarly and translation projects. 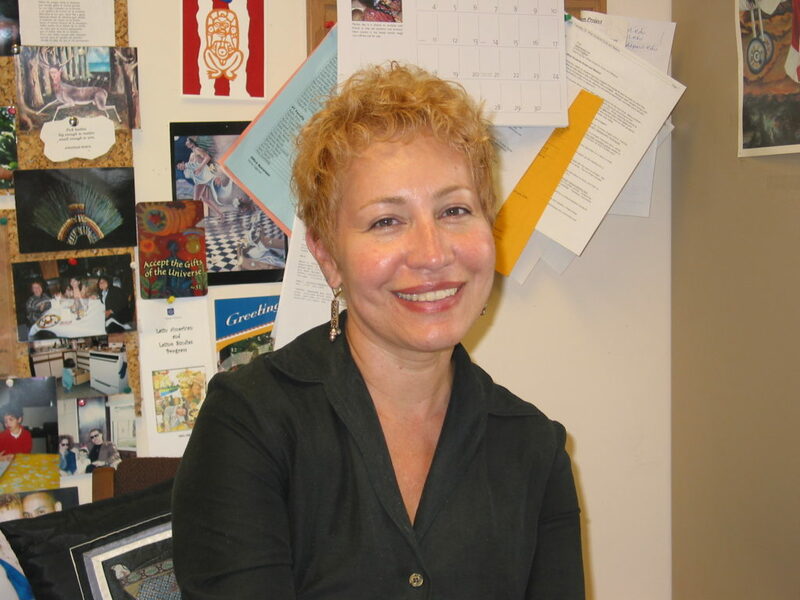 Maciel has taught at the University of Chicago, Northwestern University, the University of Illinois, and at Loyola University-Chicago. Olivia Maciel was born in Mexico City and resides in Chicago.